There were an estimated 267,000 emergency room visits because of adverse drug events from psychiatric drugs such as overdose, excessive sleepiness and head injuries revealed from a two year study by the Journal of the American Medical Association (JAMA). Over 19% of these emergency room visits resulted in patient hospitalization. The lead author of the study suggested the need for caution, increased surveillance, and reduced use of psychiatric drugs, and even encouraged alternative treatments. In 2013, more than 1,000,000 American children between the ages of 0 and 5 were prescribed psychiatric drugs. For all ages, more than 10,000,000 Americans took ADHD drugs, 41,000,000 took antidepressants, more than 6,500,000 took antipsychotics and 36,000,000 took anti-anxiety drugs. 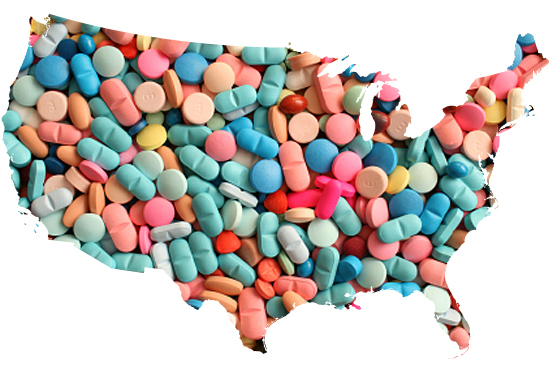 79,000,000 million Americans, one-in-four, are currently prescribed psychiatric drugs. In an effort to provide accurate information about the documented risks associated with psychiatric drugs, CCHR last year launched a comprehensive website and enhancedpsychiatric drug database. The Citizens Commission on Human Rights, a mental health watchdog organization is responsible for helping to enact more than 150 reforms against abusive mental health practices. CCHR has experts such as medical doctors, health care practitioners, psychologists and more who can go on air to discuss this issue.